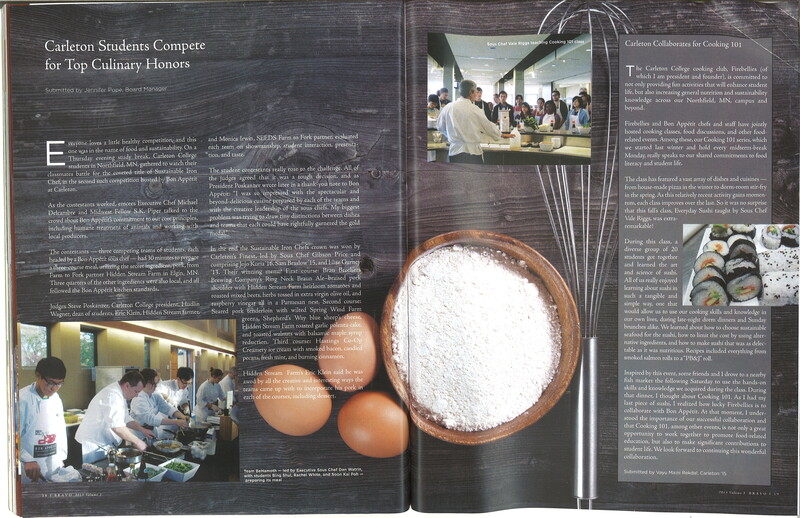 “Former White House Pastry Chef blend Science and Cooking with Visit to Carleton College,” Northfield News, January 14th 2015. “Off the Menu,” program by James Beard award-winning food critic Dara Moskowitz Grumdahl, CBS Minnesota, January 17th 2015. 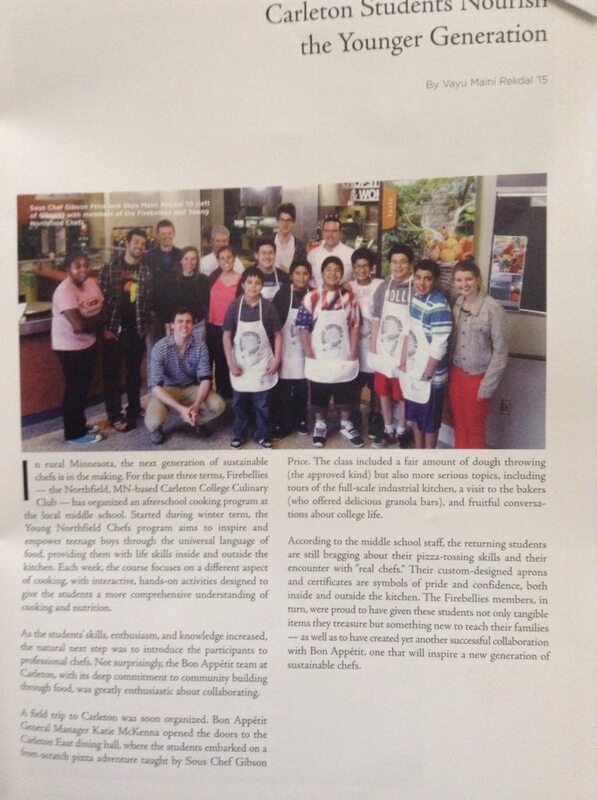 “Bill Yosses Cooks up an Interest in Science and Cooking with Young Chefs,” Northfield News, January 17th 2015. 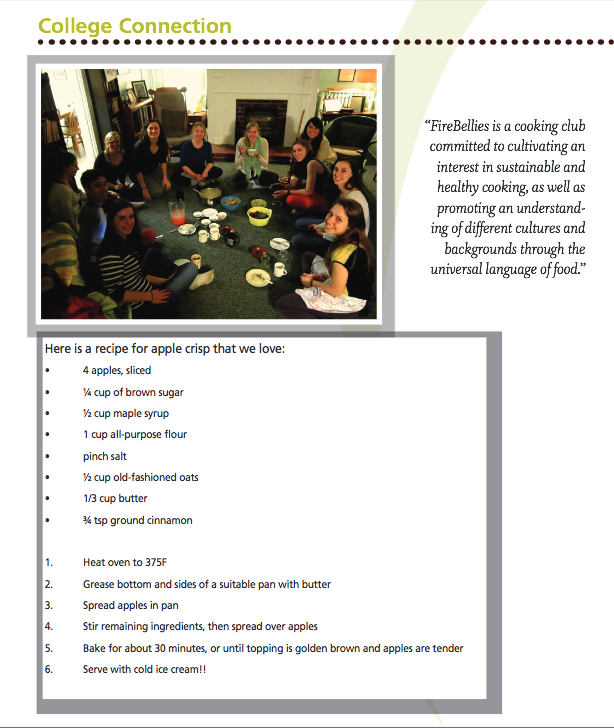 Travel the world in five rooms: FireBellies Epic Foodgressive, promoting cultural understanding through the universal language of food. Video from FireBellies Cooking101:Everyday Sushi with Bon Appetit At Carleton, from Midterm Break Monday! Thanks Ian fischer ’15 and Izaak Runkel Sunleaf ’15 for making this video. Cooking 101 video: Stir-fry. Made by talented freshmen Izaak Sunleaf and Ian Fischer.